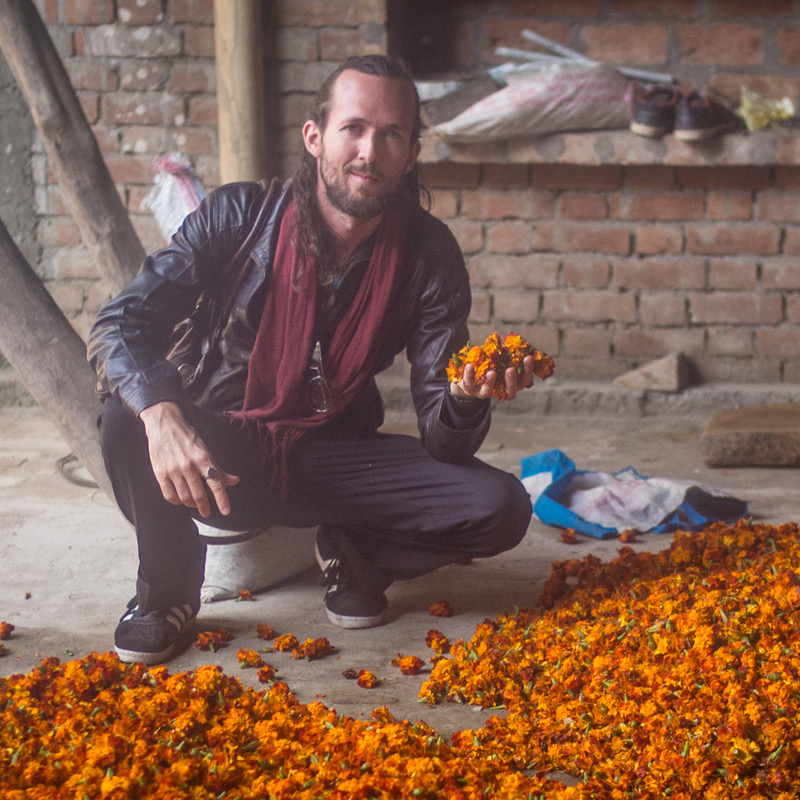 Marc made his first steps on the perfume road back in 2013, travelling to SE Asia to work with Oud oil producers, followed with a trip to the legendary city of Kannauj, India, the most ancient city of perfume in the world, founded during the Mughal empire. He has since been returning to SE Asia yearly to work with producers of Oud and Sandalwood oils in Indonesia, Sri Lanka & Thailand, expending his fields and Learning the different distillation techniques directly from the distillers. He now also works with Blue lotus producers in Sri Lanka, Pink Lotuses in Thailand and the Sacred Frankincense of Oman, as well as many other new, rare and exotic ingredients. Marc founded the Nefertem Perfume Company back in 2016 with the help and support of friends and community. His main focus since then has been to refine and revive the ancestral art of perfumery, using only the finest and rarest natural ingredients, blending in house and learning the skillful art of perfume accords, as well as developing the stories and the containers to deliver more than just a product, but a whole experience of “Classe Royale”, and, to continue sourcing the best ingredients and working directly with artisan producers around the globe.